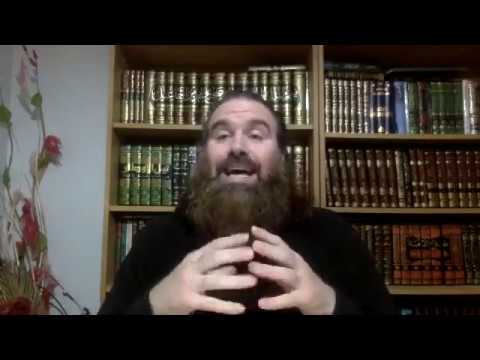 I attended a webinar featuring Ustadh Muhammad Tim Humble and it was very helpful, I learned so much and had many questions answered. If I hadn't gotten the opportunity to talk to him, I don't know who else I'd ask. I would absolutely attend another webinar like this. I'm very grateful that IslamWise hosted this. I found the webinar extremely beneficial and informational indeed; I found it quite easy to relate to in many more ways than one. We were also signposted to additional sources of information; although I am yet too pursue these, I expect them to be similarly beneficial In Shaa Allah. Excellent advice in this webinar, things I hadn't thought about too, thorough explanations. May Allah reward all your hard work. Ameen. Islam wise have provided me with amazing support from the moment I decided to revert to Islam. I was scared apprehensive and had sooo many questions. I doubted myself and I felt quite lost at times. Sister Sharifa was amazing! She answered all of my questions and made me feel at ease. I felt supported and felt I had somewhere to turn. Islam wise has been a huge part of my continued journey and I look forward to what happens next! Insha Allah Thank you to everyone at islam wise and especially the sisters at green lane masjid. Jazakallahu khairan for your support! Amazing volunteers are helping to organise activities, lectures and entertaining creche for our children! The sisters are giving out books and cd to new reverts, a mentor helps to teach how to pray and provide all additional information about fasting, Ramadhan etc.. also it's a good way to socialise and meet other sisters. As a revert with not many links to other Muslims, Islamwise kindly sent me a package in the post with some essentials for prayer and some incredible books and a CD for beginners. This has been so useful for me and has helped me to start praying 5 times a day (which is my first aim to achieve in my journey). Would definitely recommend, I hope other Muslims who want to start learning from the beginning get to hear about this service Insha Allah. Jazakallah khair, may Allah reward you all for your great efforts. This beautiful Quran recitation really really helped me when I was going through a down and sad time. It made me open my eyes and made me think that I should be thankful and giving my all to God. And focusing on God. 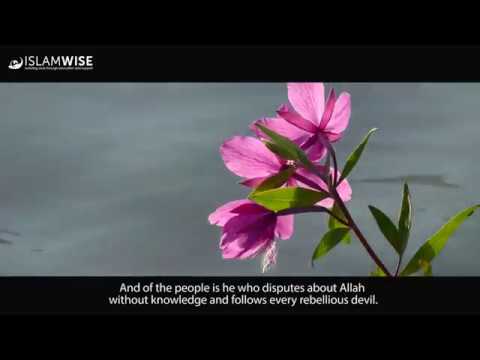 I found Islamwise through youtube, and by this beautiful Qur'an recitation, this will make you feel calm and at peace. Having a support system, like Islamwise, is very handy for someone that is a revert to islam they take time and appreciation to talk to us in their spare time. Thank you Islamwise for making my journey more easier. Islamwise very supportive. I live in Cyprus and I discovered them through the internet. Im so blessed to find out about it. They are caring, kind and understanding. No matter where you are in the world you can still message them and gain support throughout the new life Allah given us as a Revert. Marshallah,Islamwise is just what is needed in terms of 'someone being there' specifically for new Muslims by phone, it has been one important solution for new Muslims like my self who are (often) geographically cut off from Islamic social interaction. The prompt and kind support from Islamwise is Alhamdu Lilah a truly wonderful Dawah and I am very grateful for your help, May Allah subhaanahu wa ta 'ala bless you and all the Muslims in this life and in the next Aameen. Caring, covering the simple work that isnt done in most other communities, but Islamwise dont stop there. They do difficult work too, to make a worldwide movement of positivity inspiring others. I am sitting within the gathering of the graduation to the Islamwise course. My heart is feeling a feeling which I have never felt before and I cannot define the feeling In words. I have just witnessed my first Shahada, please whoever reads make dua for the sister who took her Shahada and everyone involved in Islamwise! All of us really enjoyed the course. We have learned a lot including practical tips to help us connect with Allah and our faith in general. I for one can say the support and teaching from Islamwise is like no other, you all go above and beyond, for reverts the education you offer is unparalleled. The classes are offered in a professional, yet fun environment and I have thoroughly enjoyed them. There is a real feeling of sisterhood when I have attended them and in sha Allah may this continue Ameen. Just a quick message to say a huge shukran to the Brothers from Islamwise. I completed my first year after embracing Islam on November 14th. The guidance, help, support from the Brothers at Islamwise was invaluable, there when I needed. Jzk Islamwise. We do a lot of street and interfaith dawah mashallah in Cardiff and the support and we have from Islamwise is amazing. They're always there when you need them. May Allah bless them and keep them strong in Deen and Dawah. Mashallah what a great place, Brother Waqas was so helpful in teaching me wudu and salat. The masjid is lovely as well and has recently been refurbished. Islamwise provide great literature and will go to great lengths to help you find your place in Islam. Our studies with islamwise has been very very useful. I have learnt a lot and also had fun doing so.very good class. Also the Arabic at the beginning of the class has been the most helpful so far. My improvement in General knowledge of the deen and Arabic has been vast since starting the class. This programme is the only one in the area. I hope in the future we can expand on what we have learnt now. InshaAllah. Islamwise is an amazing project, they have given really good advice, support and information. Thank you for making me not feel so lost and that there is support for reverts!! They are doing great job. Alhumdolillah IslamWise are one of the few Dawah organisations that take Dawah to the next level. They are sincere in their work and are active spreading the truth about Islam. We have a small Dawah setup in Nuneaton and we rely on IslamWise to provide us with professional material to propogate islam. Their literature has been fabulous which is easy to comprehend and to the point which covers a broad spectrum of topics. I pray that Allah accepts the great work that IslamWise is doing and make them a means of guidance for all of humanity. Very good support towards providing us the dawah material. Jazakallah khair for all the team of Islamwise. Alhamdulillah! Abdullah, whom is fellow brother of mine at IslamWise, brought me into his kindness by displaying a genuine sincere kindness that I cherish very dearly. The messages Abdullah has sent to me have been received not only in my email box, but into the depths of my heart so that I may find the encouragement and ability to strengthen my discipline of my journey through life to be able to find the courage to continue time and time again to give Allah (SWT) the most generous and caring person I can be. He even extended his trust and faith unto me and purchased literature for me of my favorite Islamic book by Yasmin Mogahed (Reclaim Your Heart), so that I may find faith during difficult and challenging times to persevere beyond them. Thank you Abdullah, and it is of my prayer and hope to continue our friendship. Although we have just been introduced to one another, I sense that our friendship will continue as long as we are willing, In'Sha'Allah. Ameen. Mashallah, it was very interesting and enjoyable, also good for the youth and me and my daughter will definitely be attending again. If it wasn't for the brother in the dawah stall advising me to pray and also a non Muslim who became Muslim and joined Islamwise with me. Alhamdulillah sister at the mosque helped us to pray Ma Sha'Allah. Jazak Allah Khair Islamwise if it wasn't for you maybe I'd still be a Muslim without salat. I have been in contact with Islamwise for the last year after converting many years ago. The environment is very welcoming and supportive. There are lots of meeting and courses for new and established muslims. There is always someone there to talk to and ask questions to. I thoroughly enjoy my time spent with the team. I would recommend Islam wise to anyone interested in learning more about Islam. This is a great service, i have enjoyed the Islam basics class so much. it is very valuable to meet other sisters and obtain more knowledge. Today's class has been very informative, and enlightening about Islam. I feel privileged to be apart of a group supporting me as I learn to be a Muslim. Amazing support for new Muslims! Great get together a time of togetherness catching up with sisters and little ones you have not seen for a while and partaking of food. Marsha Allah! Really enjoyed the class. Found it very very helpful. I learnt alot. How ever it's not advertised for new Muslims. With Allah swt guidance I found it. Alhamdulillah. Now that I have found it I will continue to attend for as long as possible InshaAllah. Mashallah, It was very beautiful, seriously made my Eid day better. The support and welcoming I received from sister Sharifa was just outstanding, as a new Muslim I felt quite lonely through the first stages of my journey. However once being welcomed by this lovely little family I can honestly say I have never felt more at ease within myself and my faith. I travel every Friday from Coventry to this Masjid as the support that's given is something I have not found anywhere close to home. I would encourage anyone Muslim or thinking about becoming Muslim to try it out! Brilliant idea to a have a Ramadan buddy for new reverts. Alhamdulilah it was a brilliant initiative on Islamwise's part, definitely a great idea. Upon interacting with my mobile buddy it opened up my eyes to just a small fragment of the reality of life as a new muslim. I found that the sister i was talking to (a newly converted 16 year old) was very lonely in her journey and literally had no muslim community in her local area, let alone muslim family or friends. Therefore, this service was one that she greatly appreciated and was often very thankful for. Due to differing time zones, we were both experiencing different parts of the day. However, i made an effort to contact her as best as i could at what would be iftar time for her. Perhaps creating networks between people in similar locations would prove to be more effective and practical as far as communication is concerned. Nonetheless we got on well and i had the opportunity to ask and answer many questions. Due to being very young and having little support from family and practically no muslim community surrounding her, at times the sister really struggled to keep her fasts and pray. I encouraged her as much as i could and spent time trying to build up her imaan and love for Allah. To an extent this may have helped her as she was always very appreciative of support and advice alhamdulilah. Overall it was an eyeopening and humbling experience. I'm grateful i was given this opportunity and will inshaAllah try to maintain contact with the sister. May Allah make us all firm upon our deen and may Allah reward the brothers and sisters at Islamwise for their tireless efforts and great work. BarakAllahufeekum. I don't know what I would of done without my Ramandan buddy it was hard. She was very helpful amswered my Questions. Islamwise have been my rock through my journey as a Muslim. I have learnt so many things and admire all the hard work and time they put into help new muslims. The staff have made me feel so at home and I feel apart of their family. The Head Sister is such a beautiful person inside and out, and inshallah she will be rewarded for all the hard work she puts into us all. If it was not for her I really do not know where I would be. She has helped me grow and guide me as a new Muslim. She has also inspired me to become not only a better Muslim but a better person in life. My family think I could never be more better than what I was before I came a Muslim but been a Muslim has definitely made me a better person and I hope to become even more better inshallah. I am not good with words but I thank the Head Sister and islamwise for everything. You are all amazing! My Ramadan buddy was so amazing! I’m so glad I signed up for it! Our conversations have been very nice and the young lady is very kind and has helped me, she’s also answered any questions and/or concern I have about Ramadan or just Islam itself. Thank you so much!! Assalamu alaykum! I applied to the Ramadan mobile buddy program and I am so happy I did. The sister that was assigned to me, Tabassum, is one of the most loving and caring people ever. She always made sure to ask how I was doing and she helped me with answers to my questions and advices to overcome difficulties. May Allah reward her abundantly, just as everyone else involved in the Islamwise activities. Ameen. Thankyou so much to all that out in hard work and effort to make the islamwise meal on Eid go so smoothly and well. It was a well enjoyed event and I would defiantly go again inshallah. I am a revert who found this RAMADAN inspirational. With the support of Islamwise many events I have accessed iftaar meal, Eid CD gift which I listen to each morning, henna party , and met other revert sisters. Islamwise has given me a sense of family and belonging. It has also changed my 12 year old daughters view if mosques. Before she thought it a strict place but she now sees it as a nice place with fun things and enjoyed meeting other reverts and their children. Islamwise has been working very hard to help new muslims.I enjoyed a lovely iftaar meal and enjoyed iftaar meals at the masjid the team are very dedicated in making sure that new muslims are involved with the community. From the day I took my shahada through all the questions that I had and through my first Ramadan and soon to be first Eid the team at Islamwise have been there at each step. Free gifts for Ramadhan and another for Eid, Ramadan buddy in Abid and a three course lunch at Eid in the Park there can be few other reverts who have had such a supported entry in to Islam. This is not to mention the online Quran classes with Qari Zakaullah Saleem.. Green Lane and Islamwise have to be the shining example of best practice when it comes to reverts across the whole Ummah. Can't thank the team and those who donate their sadaqah to make it happen.